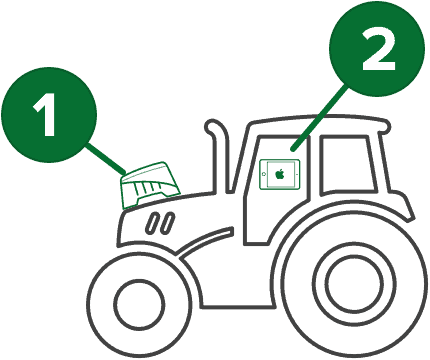 Whether you are fertiliser spreading, slug pelleting, mowing or spraying, onTrak will make sure you are getting the most out of your machine and reducing waste. Probably the most user-friendly agricultural guidance system ever. 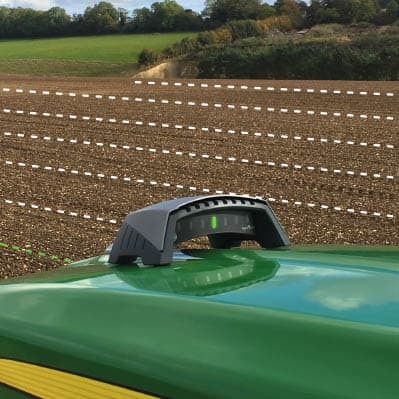 Mounted in your line of sight on the tractor’s bonnet, the 7 LEDs provide clear guidance to keep you driving parallel lines up and down a field. If you would like to chat to one of the team, leave your name and number and we’ll call you. For the best experience we recommend using onTrak with an iPad, although iPhone works well too. If you don't own an iPad already, try our Bundle Package. An Android version is in development for release in the future. Sign up here to get notified when the Android app is available. For the best experience we recommend using onTrak with an iPad, although iPhone works well too. If you don't own an iPad already, try our Bundle Package.